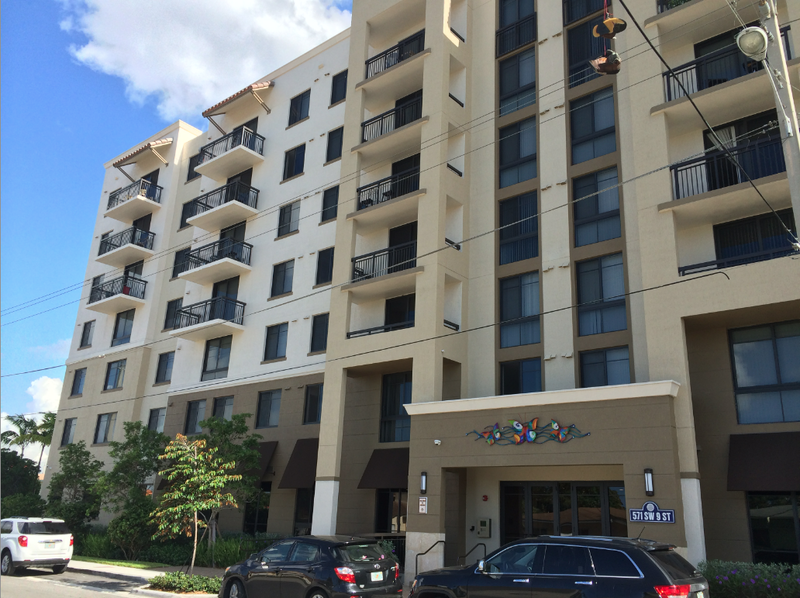 Together with Pinnacle, a for-profit housing developer, Carrfour was able to build the housing in a prime location close to downtown Miami which is particularly helpful for residents who rely on public transportation. 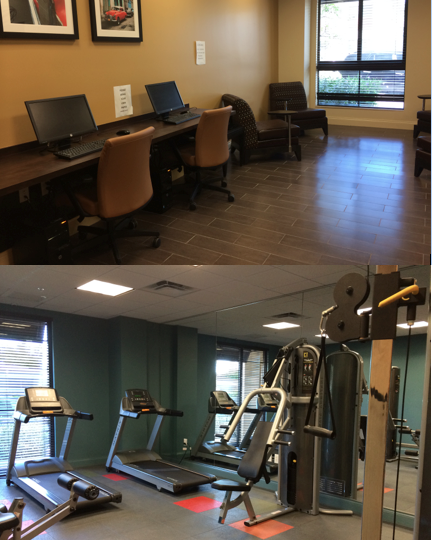 Carrfour's goal is to make it's affordable housing look like any other apartment building, including the amenities. Residents were chosen through a lottery system because there was such a high demand for the units. Berman says there is not enough supply of affordable housing, especially in Miami. Fifteen hundred people applied for the 89-unit complex. Only 183 were selected. Sarah Morales and her family of four were a few of the lucky ones. They were homeless just a few months ago, getting help from a local shelter. “After losing everything and just being here and getting everything back together, it was amazing,” says Morales. 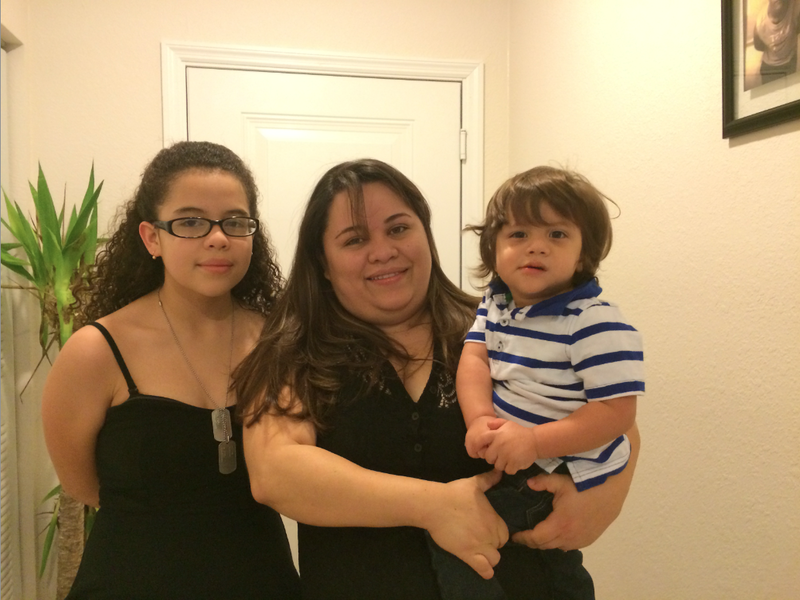 Sarah Morales and her two children in their new home. Starting two years ago, the Morales spent most of their money on medical expenses for their son, who has a heart condition requiring extended hospital stays. For a time, the family was essentially living at the hospital. Directed to Amistad by the homeless shelter that was helping the family out, Morales entered the lottery. Now, she proudly shows off her large ground-floor, three-bedroom apartment. Her 2-year-old son is doing much better. He now has enough room to do physical therapy every day. And has finally learned how to walk. Sonoma Bay and Marsh Harbour housing developments are facing a federal lawsuit. Both of the housing complexes require parents to provide their children’s school records, specifically their report cards. A fair housing group in Palm Beach County was alerted to this fact after the developments placed an ad on Craigslist. Vince Larkins, the president and CEO of the Fair Housing Center of the Greater Palm Beaches says it violates the Fair Housing Act. Since the local housing market picked up after the recession, Miami’s skyline includes a growing number of cranes pulling condos out of the ground. But the success story is not the only story of housing here in South Florida. Martha Brannigan covers real estate for the Miami Herald and she has been working on a series called "Boom, Bust and Back." Surrounded by a backhoe and excavators, more than 250 people celebrated the groundbreaking of a new housing development project in Miami’s West Grove neighborhood Monday morning. Gibson Plaza is designed to be a mixed-use, mixed-income housing development offering affordable housing to the elderly. This development is the first project of its kind in over 50 years. The project is a product of a public-private partnership between Miami-Dade County, two development groups, a private foundation, and Miami-Dade College. The U.S. Department of Housing and Urban Development (HUD) has released its list of organizations that will receive funding through the Continuum of Care Program this year. But this year programs are getting 5 percent less money than usual. The Continuum of Care Program gives money to homeless assistance programs like housing and counseling services. It also funds emergency services to keep people off the street in the first place. The budget squeezing that happened last year is now coming down the pipe into communities this year.